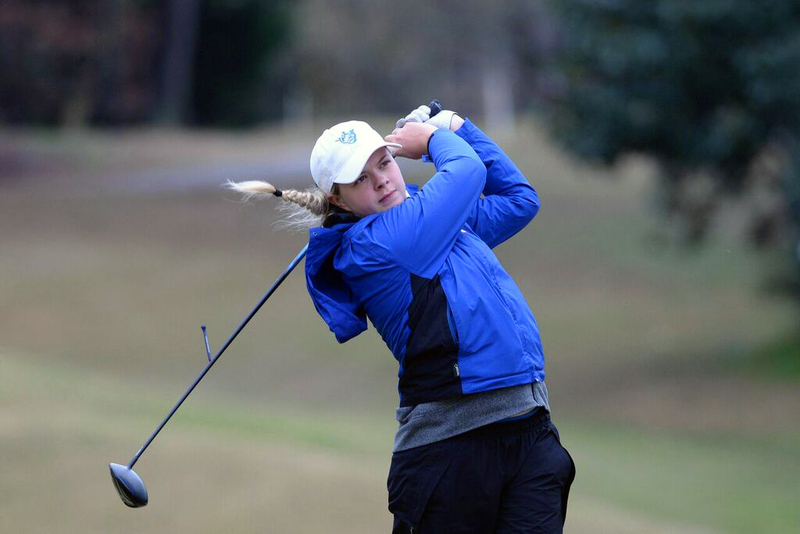 Freshman golfer Chloe Howard came to Atlanta from Plymouth, England with the intention of being a good golfer and performing at a high level. Howard has done that and more during her freshman campaign. “My season so far has been really good. I knew that I was going to perform well since I came here,” Howard said. Howard’s highest individual finish so far has been at the Bama Beach Bash, when she placed fifth, shooting a low score of 70 in the final round of the tournament. Out of the nine tournaments that the team has played so far, Howard has been their top finisher seven times, and the other two times she was the team’s second place finisher. She also added another top ten finish, this time it was seventh at the Amelia Island Collegiate where she once again shot a final round of 70. Howard has pretty much had a seamless transition to the United States on and off the golf course, but there are a few areas of the game that she is still adjusting to. One thing that Howard is still adjusting to is the weather in Georgia; the humidity is a lot different than what she is used too. This can help or hinder one’s golf game, and it has done both to Howard so far. Howard’s game has always been better suited here in the United States because of her natural hitting ability, and that has been on display. Howard had a connection to Georgia State through fellow teammate and Englishman, Jemima Gregson. Gregson is the reason that Howard ended up at Georgia State. As her freshman season comes to a close, Howard wants to finish the last tournament off strong. “In our next tournament coming up in conference my goal is to start better, and then hopefully I’ll finish off better and hopefully get a win,” Howard said. The Panthers will play in the Sun Belt Conference tournament starting on April 15 in Miramar Beach, Florida.